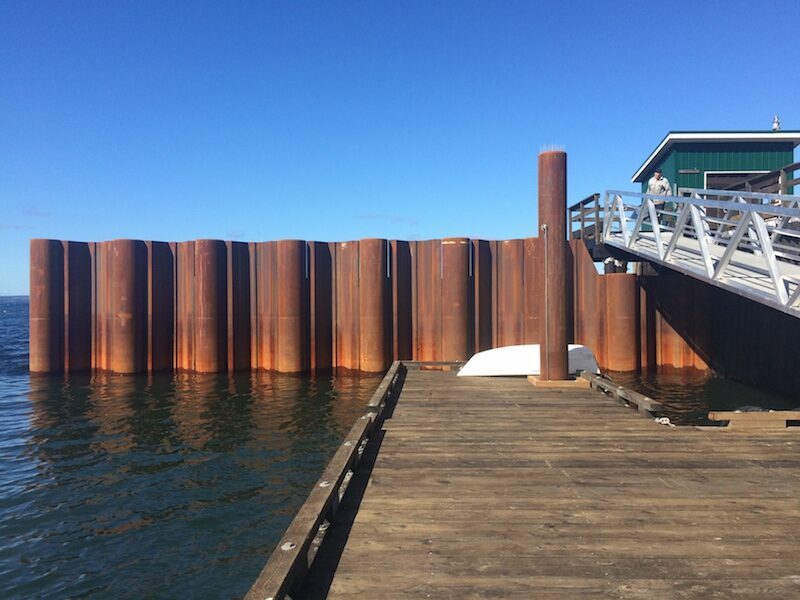 TRAVEL info | "All About Savary Island"
Savary wharf has undergone substantial improvements. this allows for a longer ramp ( gentler slope), and the extension of the float, to deeper water. The wharf shed has been moved to open up access to the deck, and improves the view looking toward the Savary beach.! Also lots of gravel has been applied to the main road, so the final drive to your cottage should be considerably smoother. To get to LUND The Northern Terminus of Highway 101 from Vancouver. "EXPERIENCE CARD DISCOUNTS' worth checking out. Drive to the end of the road Earls Cove at this terminal you just drive in your ticket is good for both ferries. The ferry crosses Jervis Inlet and docks at Saltery Bay, from there it's a half hour drive to POWELL RIVER *, and another half hour to LUND. 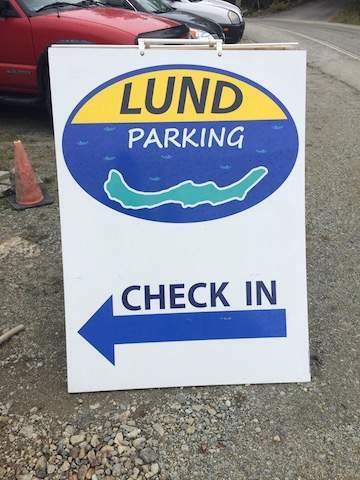 Make sure You have gas in your tank to get you to Lund and back to Powell River at least. No gas in Lund. Closest Sliammon, Wildwood & Townsite. 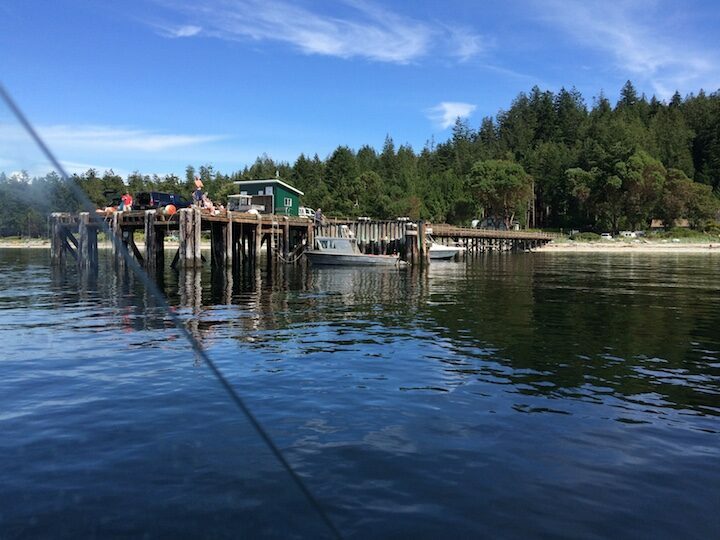 It's a good idea to have enough to get to The Petrocan at Pender Harbour if You are rushing to catch the Saltery bay ferry, when you are heading home. 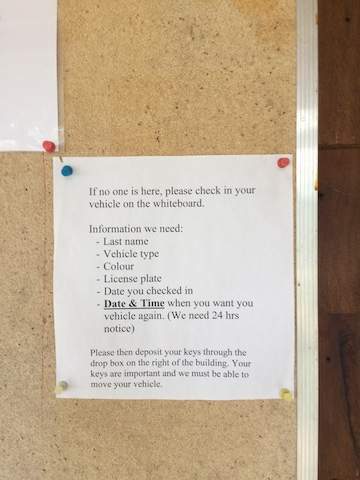 You need some time in Lund, unloading the car and taking stuff down the ramp and parking. 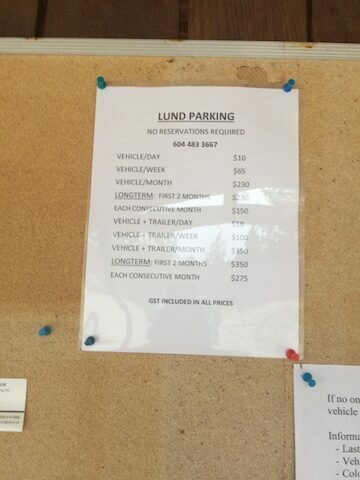 LUND PARKING ( formerly End of The Road Parking) under new management Gord & Micah. It's about a 10 minute crossing to Savary. then you have to carry your belongings up the ramp. Unique to Savary "Land Taxis", crew cab pick up trucks capable of hauling, kids , dogs, coolers, bikes etc. make the final stage to your cottage. 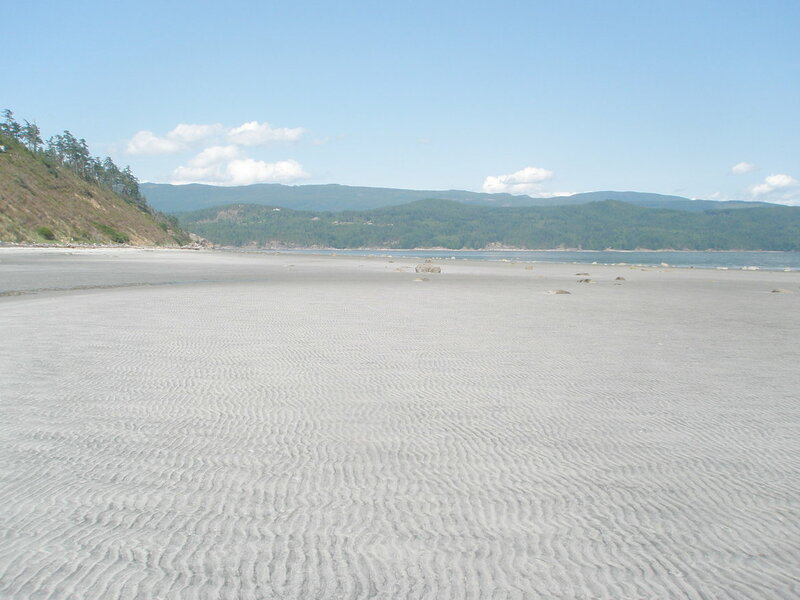 They go places other than Savary, Sarah Point for The Sunshine Coast Trail & the direct route to Cortes Island. Recommended; Check Tide Tables - higher tide makes loading easier. Get Rubbermaid Totes for packing. ( Put your name on them). Some items are considered hazardous cargo , they cannot be transported on the water taxi e.g. Car Batteries, filled propane bottles, cans of gasoline. When boat is docking, allow driver to exit, wait for him to tie the boat up, leave freight on the boat, driver will hand it to to you. Keep a hand free to hold on . Hang around to unload your own freight. FLOAT PLANES - are a delightful option, the views , the quick trip and the joy of wading ashore should be experienced. The Sunshine Coast Connector "clink"
Bus does not travel on the ferries. Runs length of Lower Sunshine Coast - between the Ferry Terminals. 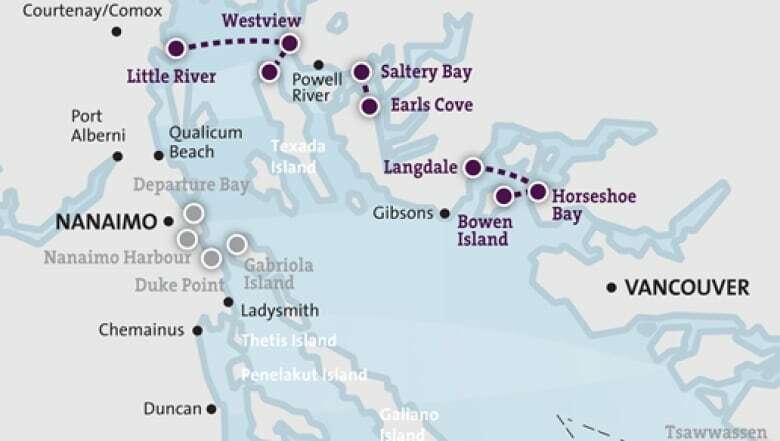 Also From Town Centre Hotel , Powell River to Saltery Bay Terminal. Jesse Newman's customised truck takes you to Sunshine Coast Trail and other hidden delights, of the Powell River back country. Powell River Visitors Info, "Drop In" or check their site "Clink"